As we were finalizing our Year in Review issue, CIVC Partners announced that it had acquired Yellowstone Landscape Group. Yellowstone was number 15 on the Lawn and Landscape 100 in 2014 (based n 2013 results) with revenues for 2013 of $84 million. While this was far from the largest transaction of the year, it was very interesting nonetheless. First, the announcement capped a lengthy auction process that had produced a number of high-profile bidders. In addition, it represented a successful exit for Gridiron which had started and built Yellowstone through acquisitions. It has been my belief that concerns about exit strategies have held back private equity investment in the industry to some degree and that the success of ths transaction will embolden several middle-market private equity firms to make a move in the industry. The high profile sale of The Brickman Group followed by its merger with The ValleyCrest Companies (soon to be re-branded BrightView) also focused a spotlight on the industry which will likely continue to attract capital. Business owners frequently ask me what should I be doing now, in light of this activity in the industry. First, I advise business owners to always be ready for a sale, even if they have no intention of ever pursuing one. Yoi never know when circumstances or opportunities will beckon and if you are prepared, the process will be vastly easier and liely produce a better result. In addition, the steps to prepare yoiur business for sale usually strengthen a business even if you do not pursue a sale transaction. Second, I suggest that business owners consider their options in light of their long-term goals. We are in a strong business sale climate right now. It is very hard to predict how long it will last. If your goals is to sell yur business sometime ion the next five years, it ma be time to get serious about pursuing options. Third, business owners would be well advised to consider the possibiity of pursuing making acquisitions. There are more opportunities out there than in recent memory and financing seems to be fairly available for buyers.Fourth, even if yoiu are not interested in pursuing the sale or purchase of a business, there have been changes in the marketplace as a result of deals that have been done that may create opportunbities to strengthen your business by adding key talent that may be available and by exploiting market opportunities that mnay develop as acquisitions take place. It s an exciting time. It has been a number of years since ther cycle has reached this level and it may be a number of years before it repeats itself. 2014 was the strongest year in many years for green industry mergers and acquisitions. The merger of The Brickman Group with The ValleyCrest Companies was the blockbuster transaction of the year. This transaction was particularly dramatic coming after the later 2013 acquisition of Brickman by KKR. Arrow Environmental of Sarasota, Florida, acquired Bug Out Service of Jacksonville, Florida, and Harmony Lawn Care of Bradenton, Florida. acquired Action Pest Control of Northwest Florida. Arrow provides lawn care in addition to pest control services. Bell Nursery acquired Blue Ridge Growers in Virginia and Bentwood Farms in North Carolina. The Brickman Group completed its merger with The ValleyCrest Companies. Brickman also acquired Metheny Commercial Lawn Maintenance in Dallas. The Budd Group, an integrated facilities services company based in North Carolina, acquired The Grounds Crew in Orlando, Florida. Cantu Enterprises acquired Technical Pest Services of Houston, marking its entry into the Houston market. CIVC Partners acquired Yellowstone Landscape Group from Gridiron Capital. Yellowstone has its primary operations in Florida, Texas and Georgia. Lodi, California-based Clark Pest Control has acquired Bugz-B-Gone of Paso Robles and Stock Exterminator of Escondido. Clark offers lawn care in addition to pest control. Color Point, Inc., acquired Mid-American Growers. Davey Tree acquired Cortese Tree Specialists in Knoxville, Florida’s Lawn Logic, Wetland Studies and Solutions, Klebasko Environmental Services in Maryland Maier Forest & Tree of Rochester, Minnesota, and Superior NW Tree & Shrub Care of Seattle, Washington. Emerald Lawn Care and Executive Lawn Care have merged in Frisco, Texas. Evergreen Turf & Tree of Troy, Ohio, has merged with Powell’s Lawn Care and Anderson Tree Tech. Maryland-based Green Street Growers acquired Eclectic Nature Gift and Garden Center in Alexandria, Virginia. GI Partners acquired the Kellermeyer Bergenson facilities management business. Greater Texas Landscapes, a unit of The Groundskeeper, acquired Hadden Landscape in Dallas. John Deere Landscapes acquired BISCO in New England, The Stockyards Horticultural Supply near Memphis, Eljay Irrigation, Ltd, a Canadian wholesale distributor with nine locations in western Canada, and Diamond Head Sprinkler Supply with three locations in Hawaii. Bountiful, Utah-based Lawn Butler and Erickson Landscaping have merged. Levine Leichtman completed a leveraged recapitalization of its portfolio company, Lawn Doctor. Nashville-based planning firm Littlejohn acquired Kramer & Little in Orlando. Massey Services acquired Green Pest Services in Austin, Texas. McCall Service of Jacksonville, FL acquired Enviro Pest Control, also of Jacksonville. Both companies provide lawn care in addition to pest control and termite services. Moyer Indoor|Outdoor acquired Almond Pest Control in Pennsylvania. Noon Turf Care of Marlborough, Massachusetts, acquired Grasshopper Lawns in Connecticut and the lawn care division of Driven Landscape in Norfolk County, Massachusetts. Atlanta-based Oasis Landscape and Irrigation acquired Lawn Ranger in Roswell, Georgia. Arizona’s Paramount Landscape has been acquired by a private investor. Ruppert Landscape acquired A R Star Services in Maryland. Austin-based planning and landscape architecture firm RVi acquired Dallas-based NJB. Ryan Lawn & Tree of Overland Park, Kansas, merged with Simply Green Lawn Sprinklers of Riverside, Missouri. SavATree acquired St. Croix Tree Service of Wisconsin and Minnesota and Connecticut’s Country Tree. SB Capital Partners acquired San Diego’s Aerations Only. Washington’s SCJ Alliance acquired Project Groundwork. Scotts Lawn Service, a unit of The Scotts Miracle Gro Company acquired Indiana-based Action Pest Control. This is Scott’s long-awaited platform investment in pest control. Scotts operates its pest control business under the Ortho brand. The ServiceMaster Company completed a spin-off of TruGreen Lawncare. Superior Street Partners acquired Virginia’s Riverbend Nursery. Swingle Tree & Lawn of Colorado acquired Advanced Tree and Lawn Concepts of Golden, Colorado. Colorado-based Terracare Associates acquired VMC Landscape in Dallas. Thompson Landscape acquired Budget Lawn Care of Plano, Texas. Truly Nolen acquired Fox Pest Control of El Paso, Texas. Turf Diagnostics & Design and Hummel & Co. merged to form Turf & Soil Diagnostics.  Arizona-based Wheat Scharf Associates and LJ Design & Consulting merged to form Wheat Design Group – Landscape Architects. Every year, we make predictions for the coming year on green induystry nmarket conditions and merger & acquisityion activity. For a report on last year’s predictions, click here. It will be another strong year for the green industry with revenue growth remaining in double digits. Most industry segments will see solid growth. Merger & acquisition activity will remain very strong, although there will be no “blockbuster”: deals. Actiivity in the lawn care segment will increases ignificantly with TruGreen Lawncare resuming acquisitions and other buyers entering the market. Franchising will continue to grow at a pace faster than the industry as a whole with franchise conversions being very popular. Early in the year, Congress and the Administration will be oin good behavior, trying to move forward Later in the year, things will deteriorate, but we will still see no gvernment shutdowns or fiscal cliffs. We will also not see meaningful immigration reform despite growing frustration from the public. We may see some positive movement on changes to Obamacare, but the administrationn will also be pushing hard for the increase in the minimum wage.